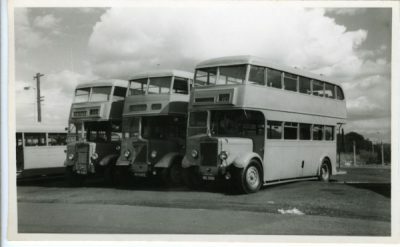 Glasgow Corporation Transport, five buses; AEC with Croft body, Reg no. 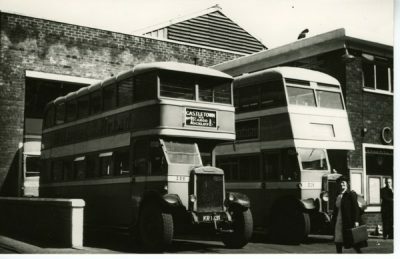 BGA 12; two wartime Daimlers one visible Reg no DUS 426 East Lanc body. 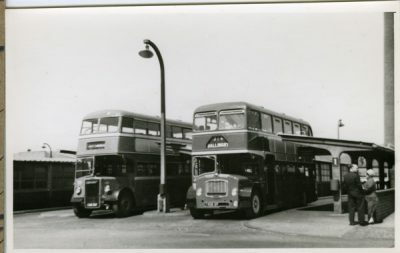 And two new, at the time, Daimler Alexanders. 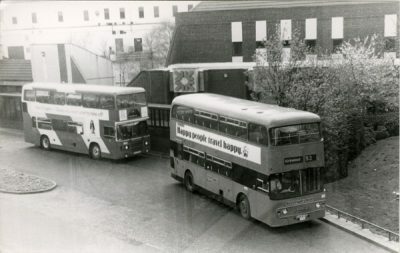 Bus stance at St Enochs Square Railway Station. 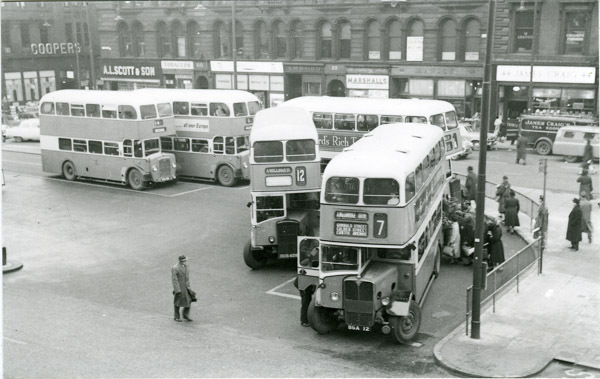 Busyish scene with 50s cars in background, shops include Coopers grocers, now a supermarket1958, view from Railway Station balcony. 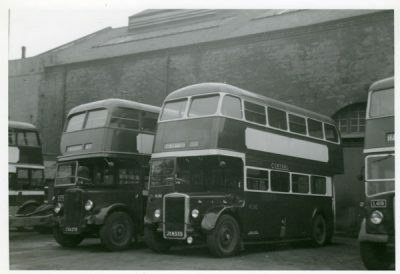 Wartime Daimlers were re-bodied in 1954 by East lancs, AEC was new in 1937 with Cowieson bodywork, then rebodied in 1950 by Croft of Motherwell.